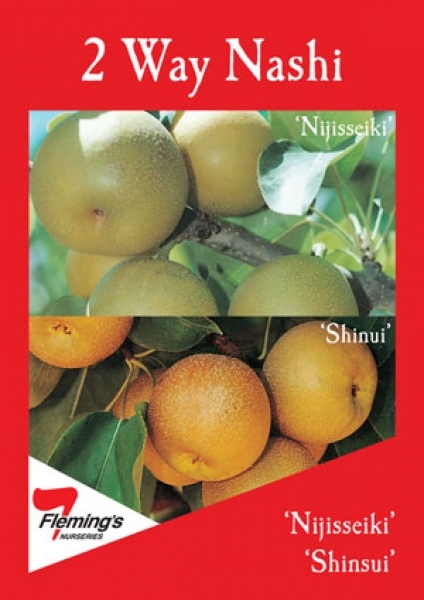 Nijisseiki Mid season maturity. A heavy bearing spreading variety. Medium sized round fruit of excellent eating quality with yellowish green clear skin and moderate sugar content. Shinsui Early season maturity. 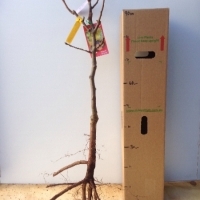 Russet-golden brown, excellent eating quality, crisp slightly gritty, high sugar and acid.